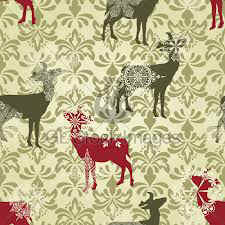 Back in the late 1950s/early 60s, there was an organization which got lots of publicity. 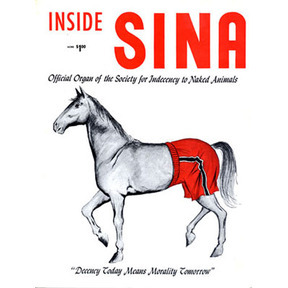 It was called the Society for the Indecency to Naked Animals (SINA), whose aim was to clothe all naked animals, including pets, barnyard animals, and large wildlife. SINA actually had lots of ardent supporters and raised lots of money for the cause. At one time the group claimed (falsely) that it had tens of thousands of members. 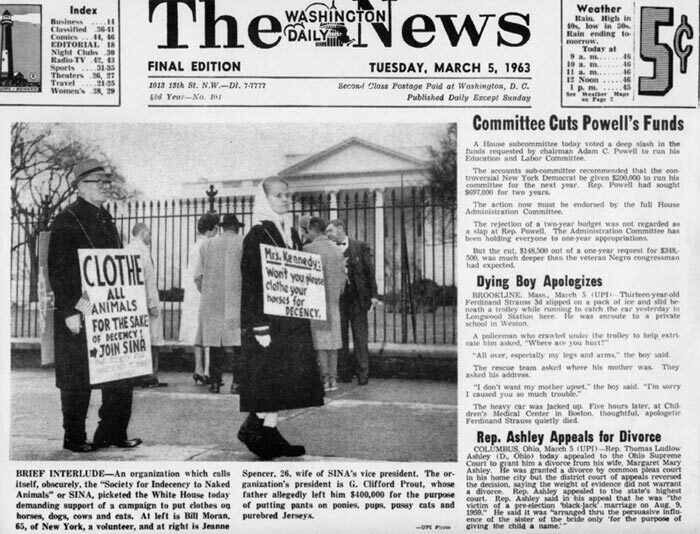 The hoax was finally sniffed out in 1963 by a member of Walter Cronkite's staff, during an interview with the newsman. Henry was recognized and the jig was up, though Abel still kept the group going through its newsletter among people who had not heard of the Cronkite incident. While the whole SINA thing was a hoax, I think that Abel missed a very real indecency situation that has plagued this country for years, indecency that has been perpetrated by the beloved Walt Disney right in front of our very eyes. Look at how shocking this is. Two naked animals cavorting in public rubbing tailfeathers with one another and all to the delight of thousands of young children. 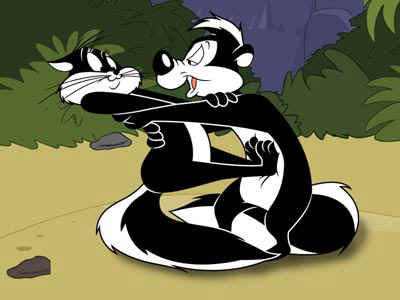 Throughout the career of Disney characters there seems to have been a casual disregard to clothing vs. no clothing. 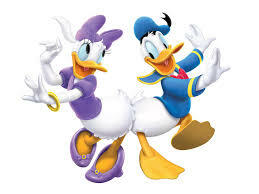 Mickey was clothed right from the beginning, in his first appearance as Steaboat Willie, but Donald came on the scene, pantsless from the start, and then brought his girlfriend along too. She wore jewelry, a hair ornament and high heels, but where were her pants? And who were the parents of his naked nephews? And then there is that whole naked cross-species thing. They are obviously very...uh...close to each other. 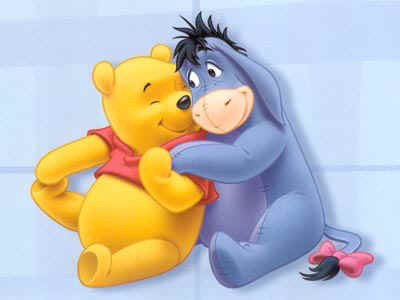 Eyore, may even be a cross-dresser, since all "he" is wearing is a pink ribbon. Shocking. Absolutely shocking. 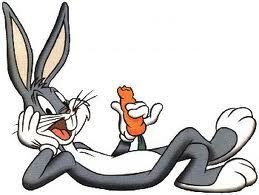 If Disney was shocking, Warner Bros. took it to extremes. 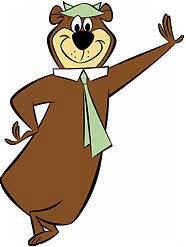 And then there is that half well dressed bear stealing pic-a-nic baskets from people in national parks. A hat and tie, definitely. Pants, not so much. 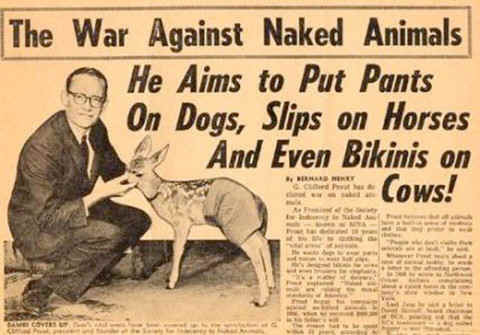 Perhaps Alan Abel was pulling everyone's leg with his attempt to clothe naked real animals, but I think he overlooked a great source corruption to the country's children and a campaign he might actually have won. When looking at indecency and what should be done about it, one should always keep in mind the tiny tots.